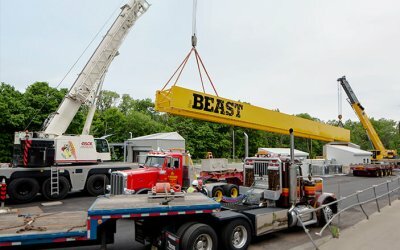 The world’s first accelerated testing facility for full-scale bridge systems, the BEAST subjects bridges to extreme environmental and traffic loading to simulate decades of deterioration in months instead of years. The BEAST eats bridges, spits out quantitative data on materials and components performance, and could save billions in infrastructure costs. 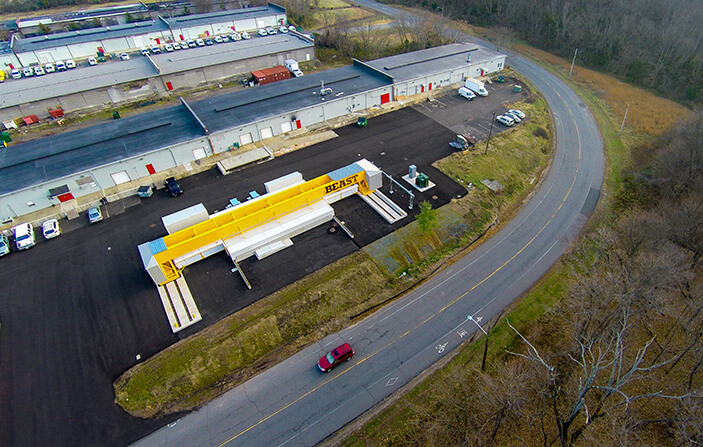 CAIT’s Bridge Evaluation and Accelerated Structural Testing lab (The BEAST®) is a truly unique facility that can quantitatively measure the effects caused by intense traffic and environmental extremes on actual bridge decks and superstructures—and do so in a highly compressed time frame. 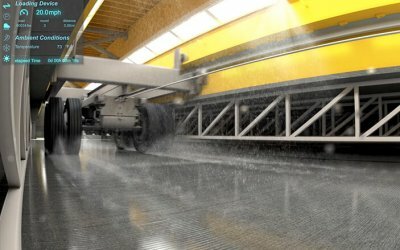 It is built to induce and speed up deterioration as much as 30 times, making it possible to simulate 15 to 20 years of wear-and-tear in just a few months. 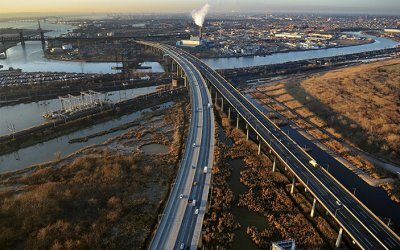 To provide empirical evidence that supports bridge owners’ decisions, engineers will be able to fast-forward, observe, and quantify the complex interrelationship of the environment and traffic with bridge designs, construction materials, and elements, and extrapolate how those things can be expected to perform decades from now. Rebar Steel, epoxy coated, galvanized, stainless steel, steel clad, glass and carbon fiber polymer, etc. Coatings & Sealants Latex-modified concrete, joint sealants, epoxy waterproofing seal coating, etc.